Posted on Tuesday, January 8th, 2019 at 3:58 pm. 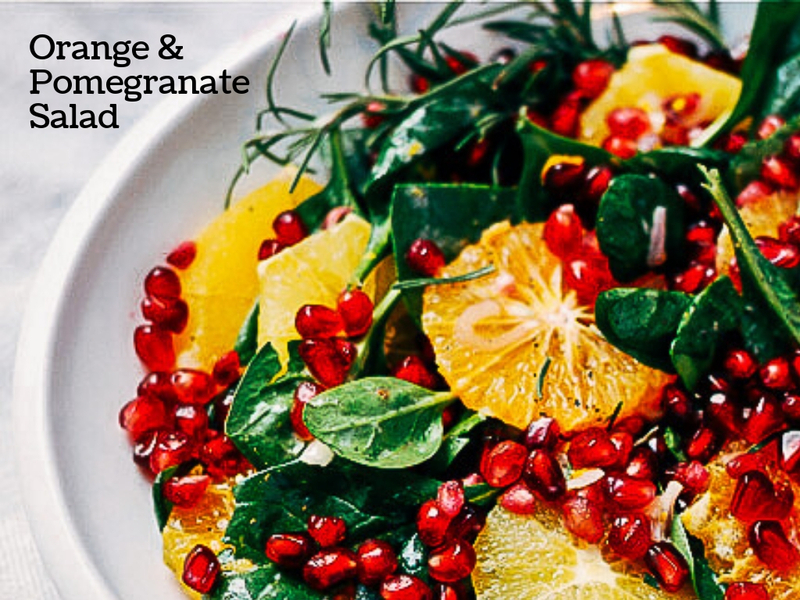 This vibrant orange and pomegranate salad is topped with a creamy buttermilk dressing. If you don’t have We Olive Blood Orange Olive Oil, substitute your favorite extra virgin olive oil and a tablespoon of orange zest. See the original recipe at Brooklyn Supper. To make the dressing, one at a time, whisk zest, juice, vinegar, mustard, and buttermilk into olive oil. Add shallots, rosemary, and sea salt. Set aside while you prepare the salad. Cut very top and bottom off of oranges. Carefully slice off the peel, removing white pith while sparing as much flesh as possible. Cut into 1/2-inch thick slices.